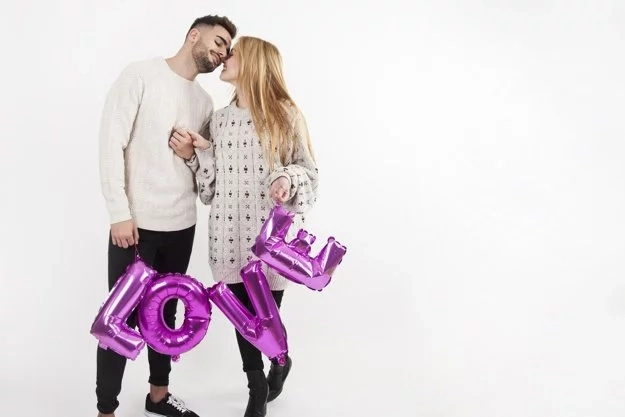 Since men are very good at hiding their feelings, a woman often can not understand whether he is in love with her or just wants to spend time with her. But still there are 10 signs that should help you find the answer to this exciting question. Asking yourself this question, you should remember a very important point, if you doubt that a man loves you, despite the fact that he spent quite a lot of time with him, then your doubts have good reasons. 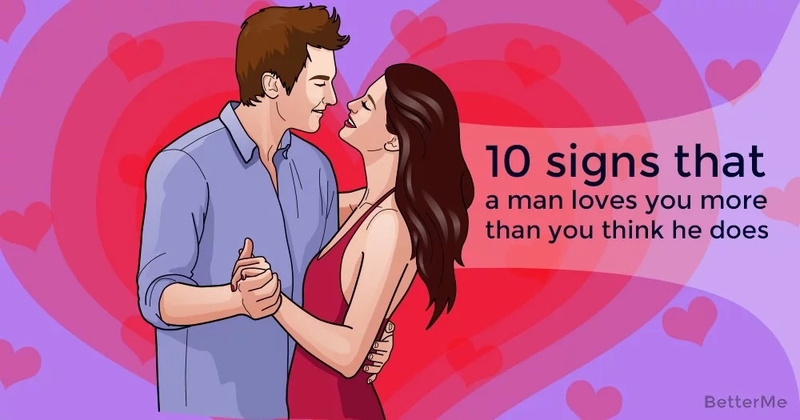 So, check out 10 signs that a man loves you more than you think he does and analyse your relationships once again. Maybe, you will change your mind about how serious your man is. #1. One can understand that a man is in love, by the way he agrees to do something that the woman offers. When a man starts to introduce a woman to his friends, this is a clear sign of falling in love. #2. A man in love is always in a good mood. He becomes really happy and changes his whole life. Friends and relatives notice the change that has taken place with him. #3. A man in love allows a woman to manage at home. He is proud of how she changed the situation. He buys furniture that she liked. He even allows her to keep her tampons under her sink. He is ready to let a woman into her life. #4. He begins to pay more attention to his appearance, thinks about the future - in financial, physical and in all other aspects. #5. He surrenders his interests. He quits his business just to meet her. If she wants to eat, he will jump out of bed and rush for donuts in the middle of the night. #6. Men are drawn to diversity, until they fall in love for real. If he really wants one woman, he does not care how many more he can have, because he wants to be alone with her. Other women do not represent any interest for a man in love. All temptations cease to exist when a man is truly in love. #7. When a man thinks of a woman all the time, when he does pleasant things for her, when he thinks about how to please her. #8. Suddenly, a man feels that he no longer wants to look around the corner in the hope of meeting someone else. #9. A man in love is ready to do anything for a woman he loves. He never thought of starting a family and having children, but he wants everything with this woman immediately. #10. The woman does not have to ask. He knows it instinctively what she needs and give it to her.